Along a stretch of postcard-worthy beaches, rests the Ocean Blue and Sand resort, the perfect place for a beautiful destination wedding. 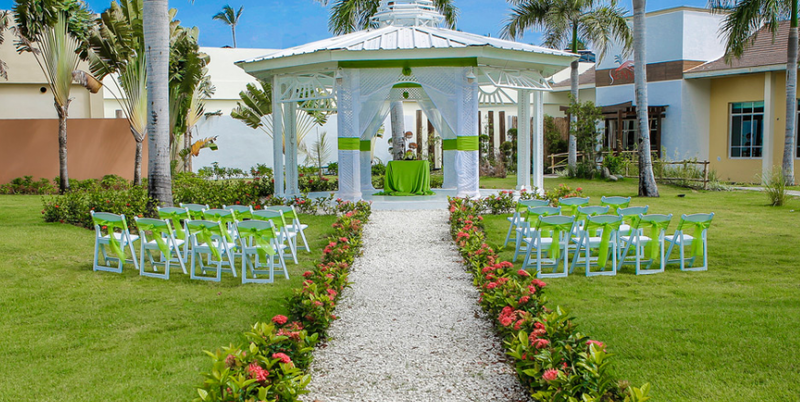 Situated where the powdery white sand meets the gorgeous turquoise waters of the Caribbean Sea, an Ocean Blue and Sand wedding offers a variety of venues including the colorful and luscious garden gazebos, ideal for a ceremony with a tropical feel. Your guests will love all of the amenities, from the delicious restaurants to the superb cocktails. Ocean Blue and Sand is best for those who desire an extravagant wedding ceremony, packages are built with many guests in mind. This hotel is perfect for guests who want a fun and thrilling wedding celebration, with daily activities that involve a rock climbing wall, archery, and a casino! 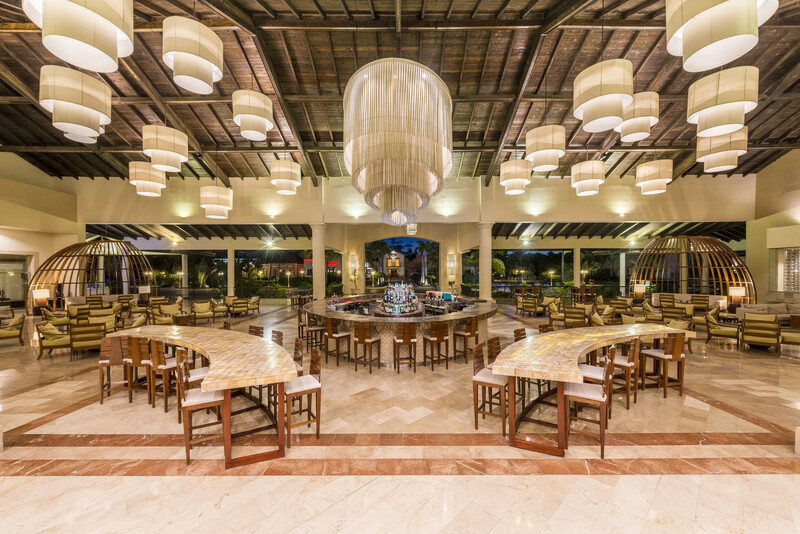 The resort’s all-inclusive accommodations are 24 hours a day, including restaurants and bars, with the exception of room service that ends at 11pm. The base package is $600 and includes 10 guests but complimentary when you book 5 Junior Suites for a minimum of 7 nights. Upgraded packages, additional guests, and add-ons are available for an additional cost. Rooms range from $100 – $200 per person per night. Every room includes a private jacuzzi. The Privilege Junior Suite, Honeymoon Junior Suites, and Honeymoon Suite are the only rooms that include complimentary wifi. Children 3 and younger stay free. There are 708 total guest rooms that offer ocean, pool, or garden views. All rooms in the privilege category are located closer to the beach. 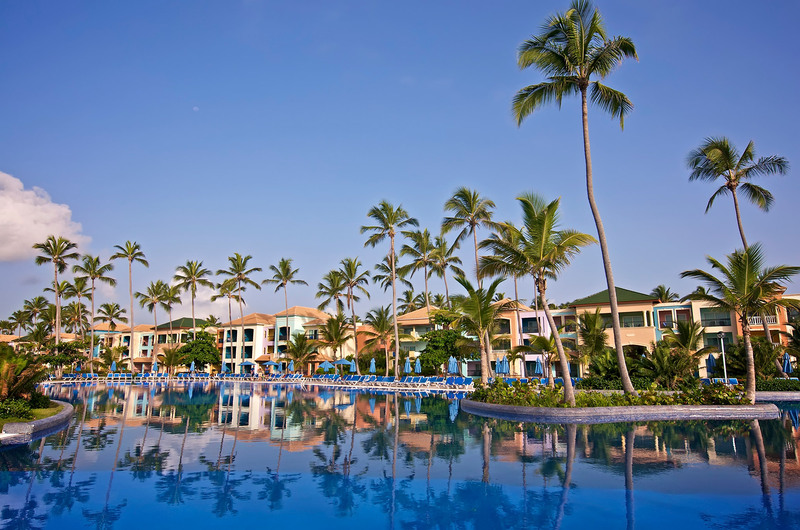 The resort is spacious and spread out, but everything is accessible by walking. All buildings are no more than 3 stories high. Beach – 300 guests max, Beach Gazebo – 200 guests max, Garden Gazebo – 120 guests max, and Eco Gazebo – 30 guests max. The Eco Gazebo is the only completely private venue. Rooms allow up to 3 adults and 2 children max. The Junior Suites have twin bed options, and the Honeymoon Suite is a duplex room, with a separate lounge and terrace. Children are ages 13 and younger. There will be no more than 3 weddings a day, held Monday thru Sunday. They will be spread out so no weddings occur at the same time. High season months typically include January, February, March, and April. It is always encouraged to have your guests book their stay 6 – 12 months in advance. Wedding coordinators may take up to 3 – 4 business days to respond. During the resorts busy season, they may take longer. Ocean Blue and Sand is 13 miles from the PUJ airport. 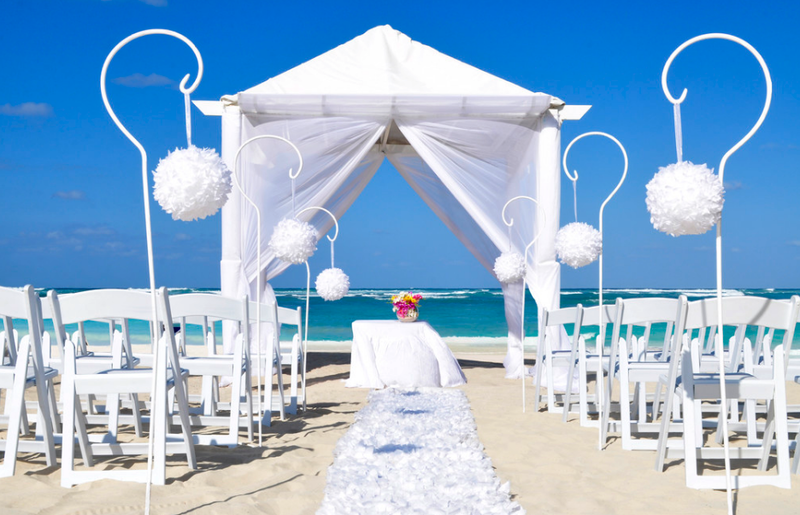 Q: What makes Ocean Blue & Sand a great place for a destination wedding? A: We have perhaps the most comprehensive wedding packages available, ranging from $550 through to $4750 and upwards depending on the package you decide to book, or what your budget will allow. We offer each guest the opportunity to decide what they wish and try to cater your every wish where possible! Brides usually compliment the friendliness of our staff, and the email response time frame! A: My favorite part is making couples dream day come true! 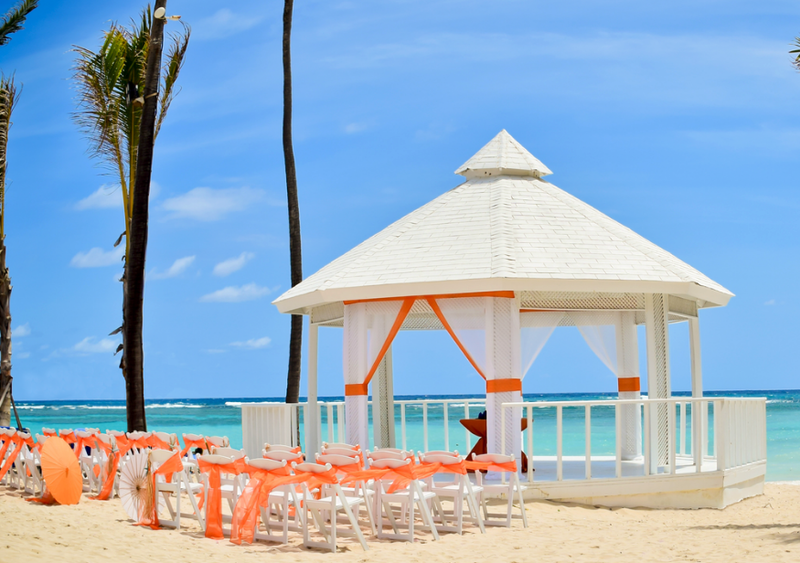 Q: What are the challenges brides face when planning their destination wedding at each resort? A: There are limited wedding venues, and some brides find that their wedding date is not available.